If you're at the Future Technology Summit today, you may have already 'blipped' a #BehindTheFace poster!#BehindTheFace is a project by Unbox London, who's mission is to stretch the realms of imagination, using creativity and innovation to spread ideas and to educate. 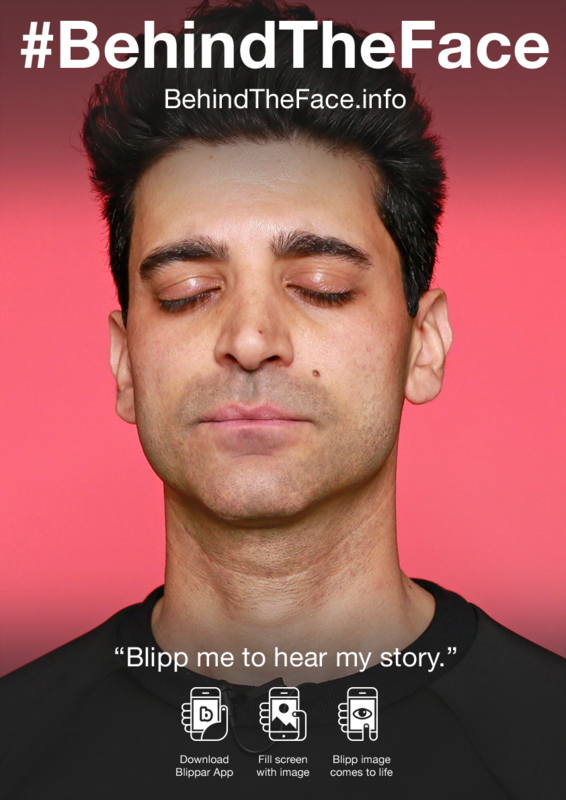 The #BehindTheFace project is a groundbreaking series of one minute stories from change-makers, pioneers and influencers delivered in unique settings. Interactive posters are activated using augmented reality on a smartphone which give users a futuristic viewing experience.RE.WORK and Future Technology Summit speakers recently collaborated with #BehindTheFace, which works with the Blippar app, to create an augmented reality experience for our attendees! We caught up with Jimmy Kyriacou, Director of Unbox, and the creator of #BehindTheFace, to hear more about the exciting project.Tell us about #BehindTheFace and how this project initially began. #BehindTheFace is a marriage of many of my passions. I love interesting people, cities, cutting edge technology and visual art. I have been experimenting with how creativity can be used in innovative ways to connect and educate citizens for many years, and this is simply a natural continuation of this journey. The planet is experiencing a real shift in consciousness right now, and if you take a deeper look at the blend of people involved in this project, at the core lies a belief that everything is truly connected. #BehindTheFace is all about delivering social impact. How do you think augmented reality can advance this? When people actually experience Augmented Reality for the first time, it blows their mind! And that is exactly the reason why I wanted to use this technology for #BehindTheFace. By creating an experience that people remember, it has the power to cut through the thousands of marketing messages the average citizen is exposed to on a daily basis and to actually leave a lasting impression. When we put the first installation up around the streets of Camden and Primrose Hill in London, one of the team overheard an elderly lady asking a young girl if shed seen those 'magical talking faces' - that says it all! We’re excited to have #BehindTheFace involved with the Future Tech Summit! Is there a particular session or speaker you’re looking forward to hearing at the event? The line up is simply amazing, so very difficult to choose one speaker, however over the last few years I've been fascinated by how fashion, design and technology have been merging and really excited to hear the creative director of CuteCircuit, Francesca Rosella's presentation. Cutecircuit simply takes cool on another level! Why did you choose London as the starting point for this project? London is one of the most diverse and interesting cities in the world, wand is also where I live, so I guess it was the obvious choice choice!Do you have plans to expand outside of London? YES, definately! #BehindTheFace has already engaged people in different cities, with interest in Amsterdam, San Francisco and New York - watch this space! What do you have planned next for #BehindTheFace? Augmented Art is an area that interests me, and it would also add another interesting element to #BehindTheFace. I'm currently in dialogue with a well known american artist based in New York who has been incorporating net and digital technologies into her artwork for many years now and excited to see how this collaboration could develop! If you're at the Future Technology Summit today check out the #BehindTheFace posters in the event's networking area! 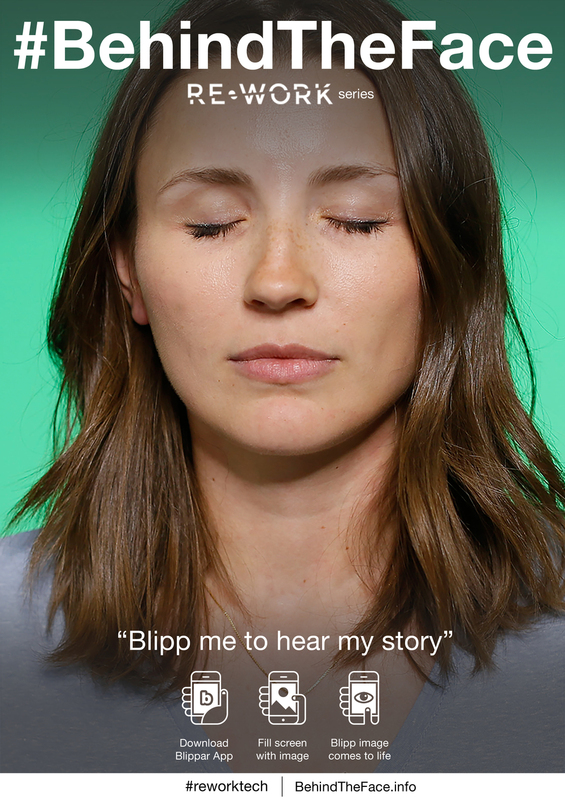 Use the Blippar app and follow instructions to learn more from our great speakers.You can also view the speakers 'blips' on the #BehindTheFace website. Check out Nikita Johnson, Founder of RE.WORK, Elaine Warburton, CEO of QuantuMDx; Brian Waterfield, Head of Virtual Reality at Jaguar Land Rover; Chris Green, Designer in Residence at the Design Museum; and Chris Brauer, CAST Co-Director at Goldsmiths University. What is a smart city, and why do they matter? How Can We Plan for Autonomous Vehicles in Urban Environments?